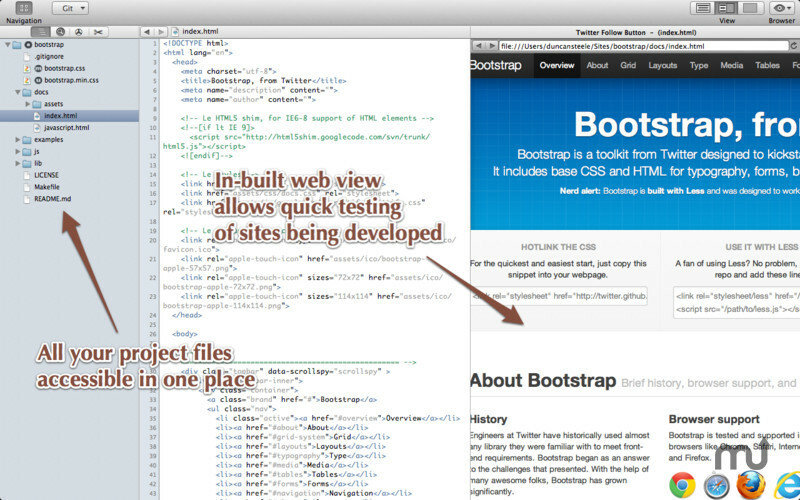 Single window Web development environment. Is there a better alternative to Webbed? Is Webbed really the best app in HTML category? Will Webbed work good on macOS 10.13.4? Webbed's single window design banishes the jumble of floating windows. The left hand pane is not just a file browser. It enables you to jump between PHP parse errors, Global search results, TODOs, and even code snippets without ever cluttering the main editor view. 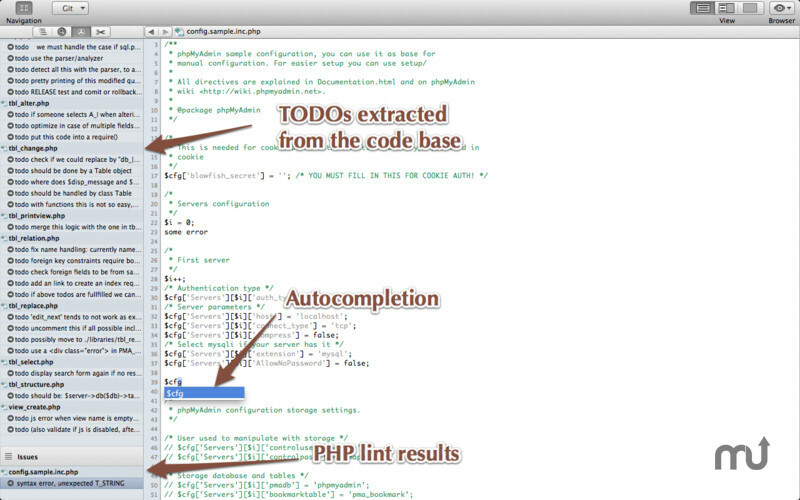 Better error handling for PHP preprocessing. Webbed needs a review. Be the first to review this app and get the discussion started! Webbed needs a rating. Be the first to rate this app and get the discussion started! It is hard to develop a website without a preview of the results, so Cmd-Shift-R opens the page you are currently editing in either the built in browser or any browser installed on your system. For convenience PHP is preprocessed before display. 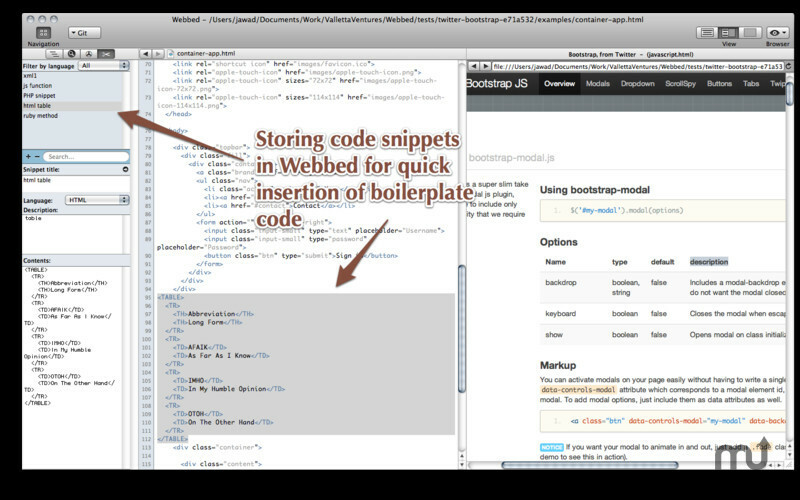 Drawing on Valletta Ventures's experience with code editors, Git is integrated into Webbed. 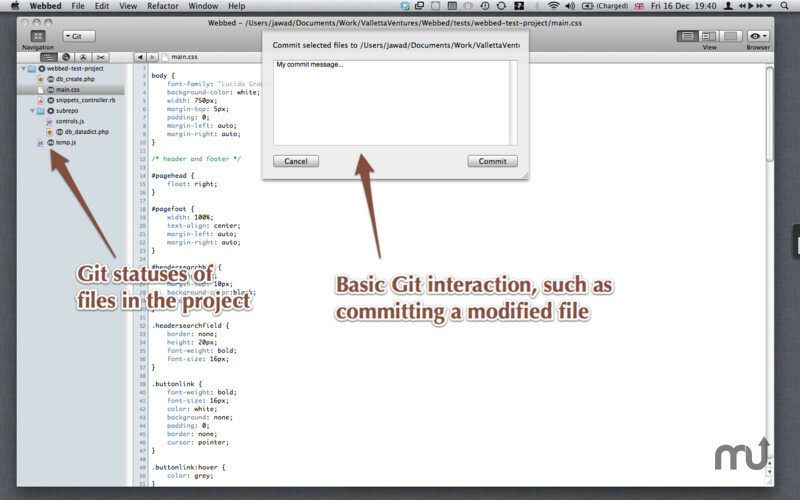 Git status is displayed in the file browser, and you can carry out common tasks from within Webbed. Also, the software is packed with features to accelerate coding such as autocomplete, keyboard navigation and code snippets. Some features of Webbed, specifically Git support and PHP preview and linting require installations of Git and PHP respectively. 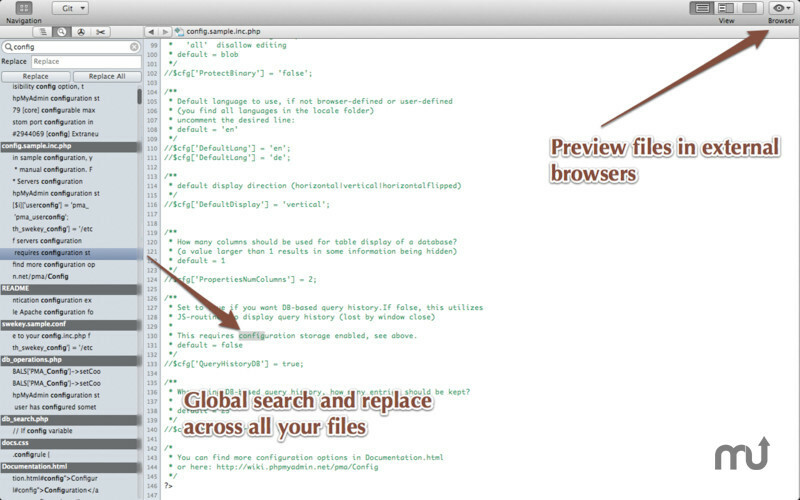 Git may be downloaded free from git-scm.com and PHP from php.net.